We can’t properly send off 2015 without squeezing in one more RPG, now can we? Not only that, it’s the second entry of The Legend of Heroes franchise to see localization this year. Between this, Yakuza 5, and Xenoblade Chronicles X, December sure has been one hell of a month. The release of The Legend of Heroes: Trails of Cold Steel is a peculiar one, as compared to October’s Trails in the Sky SC, there is a full three games being skipped over to reach this title. Oh, and if you haven’t been keeping up with the franchise, it makes things even more complex. 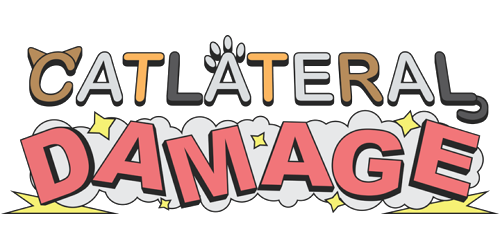 Fortunately, prior knowledge of the unlocalized titles is not required to understand this (or even the localized ones for that matter), though there will be some nods to prior events and some familiar faces for existing fans to enjoy. 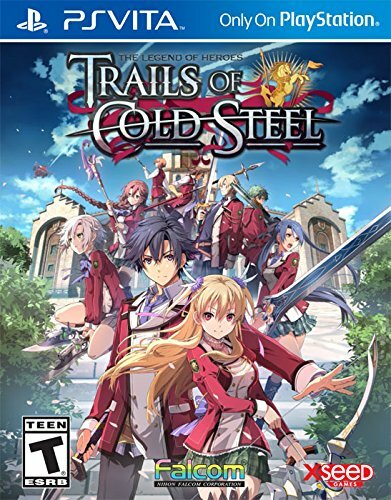 Trails of Cold Steel takes place in the country of Erebonia, and rather than following the misadventures of a group of Bracers, it instead focuses on a class of students at Thors Military Academy. 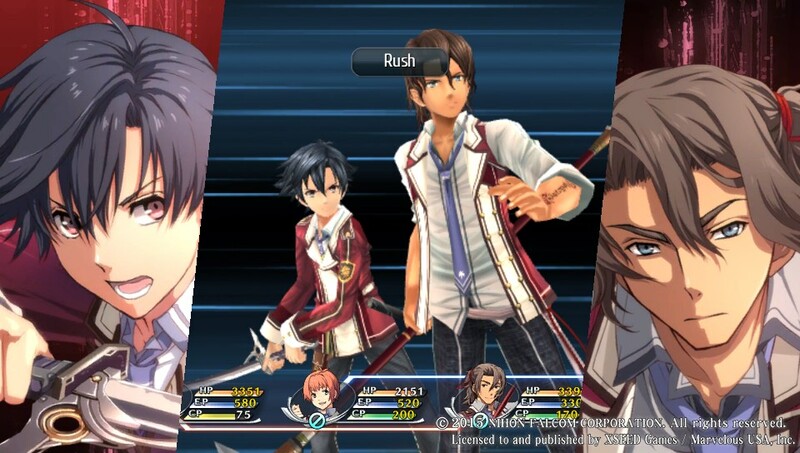 Classes at the academy are normally divided up by social standing, but protagonist Rean and a handful of other attendees are asked to form a brand new Class VII that is comprised of nobles and commoners alike. Over the course of their studies, they become embroiled in the politics of their nation and awaken to the realities of war. I’ll admit to being skeptical to the school setting of this game, because let’s be honest, there’s nothing more overdone in anime or anime style games. However, of all the titles to use as a template for this sort of experience, ToCS opted to go with the concepts set in place by the Persona franchise, and it shows. The narrative’s many chapters showcase a couple of the students at a time as they learn to accept each other and themselves, and even allow for the player to get to know them better through the equivalent of social links. Class VII has an incredibly large and likable cast, which is impressive considering how it manages to have you rooting for even the most annoying members by the end. 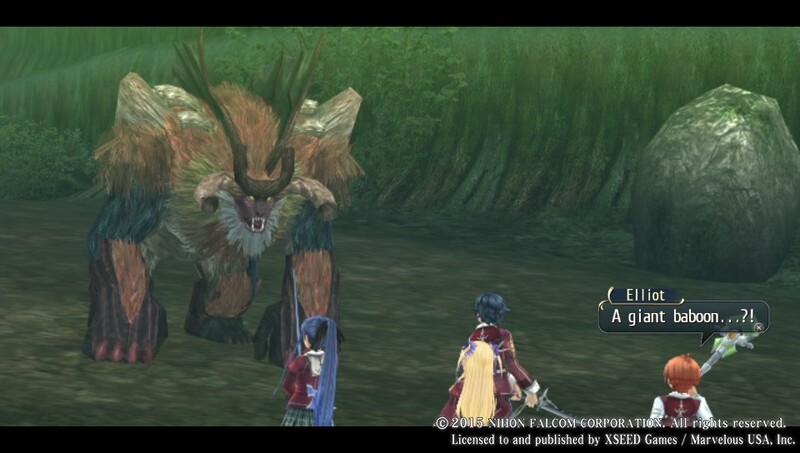 Like its predecessors though, Trails of Cold Steel is very slow moving, particularly in the opening hours. Each month, you will be asked to perform menial tasks around campus, bond with classmates, take exams, go on a field study, and repeat. The format works well as a way to give players an opportunity to goof off and do side activities, but makes the narrative less believable. After all, there’s only so many times that major events occurring during Class VII’s field studies can be written off as coincidence. That being said, it does remain interesting enough to feel motivated to push forward, especially once large scale revelations begin taking shape. It’s important to note that Trails of Cold Steel begins another story arc, which means that you’ll get slapped with a big “To Be Continued” at the end. Franchise veterans should be used to this, though there is far less closure in the conclusion to this game than there was with even the original Trails in the Sky. I’m glad the followup will be out in 2016, though with a third game having just been announced by Falcom, I’m hoping I won’t have to experience the same feelings of frustration at the end of the second game as I did with this one. Aside from the story, another aspect of the experience that’s you’ll be spending a lot of time with is the combat. During your adventures, you’ll have four active party members and up to two support members that you’ll bring into battle. Aside from normal turn-based RPG actions, such as the ability to attack, run, or use items, your characters have a selection of Arts (magic) and Crafts (abilities) at their disposal. Proximity to the enemy plays a large role in the effectiveness of your attacks, as some characters and moves cover a range of the battlefield. This makes area of effect attacks more of a thought process than it otherwise would be. Movement plays a key role too, since your party members have to close in for melee techniques. 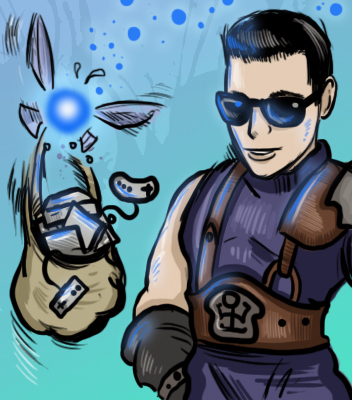 During certain points in the story, your party members can learn S-Crafts, which are effectively super moves that consume all of your CP to instantly take their turn and devastate foes. Not only are they powerful maneuvers, but since they can be used at any time, you can take advantage of turn bonuses that yield things like critical hits or healing. Or at the very least, prevent the enemy from being awarded those things on their turn. This makes turn manipulation a key facet to the strategy (again, not unlike Persona) and keeps even the easiest battles feeling fresh. You can even swap in your support members on the fly at the cost of a penalty on their next turn. 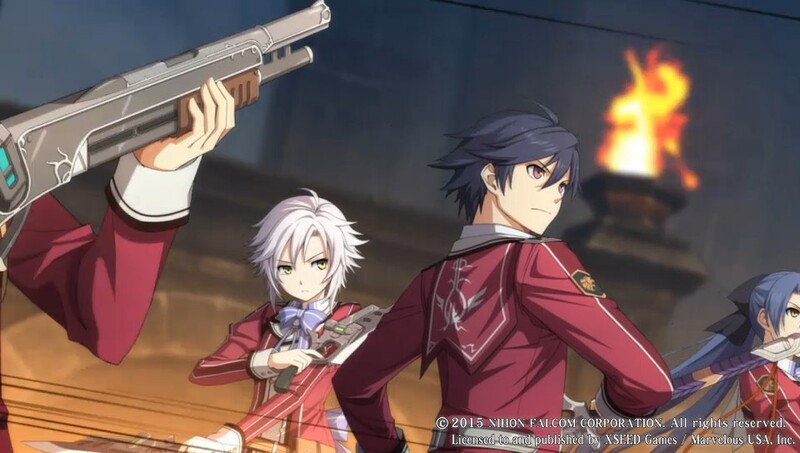 New in Trails of Cold Steel are Tactical Links. Two party members can link themselves together granting benefits relative to their affinity for one another. 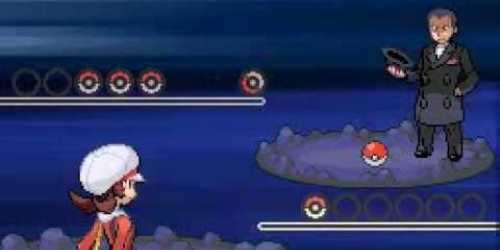 For example: early on, landing a critical hit might only bring in the linked member to land an extra blow. But at higher link levels, they’ll deliver finishing blows, take damage in place of another, or throw out an automatic heal after a devastating hit. Character affinity can be increased by participating in bonding events (social links), playing cards with them or just simply using them in battle. Victory brings with it experience points and Sepith, the latter of which is used to trade for money or quartz to outfit your characters. You see, each of your party members is equipped with an Arcus unit that contains a master quartz with its own growth pattern, as well as slots that can be opened up and outfitted with smaller quartz. These quartz can boost stats, such as increasing attack power and defense, or it can bestow new Arts, like elemental magic spells. You may not be able to make a character into a sword fighter that isn’t already, but the Arcus allows even more customization than was available in previous games, which is a bonus. I was disheartened to see that there are still a ton of missable items and quests, which increases the pressure to have to play with a walkthrough in such a long game such as this. 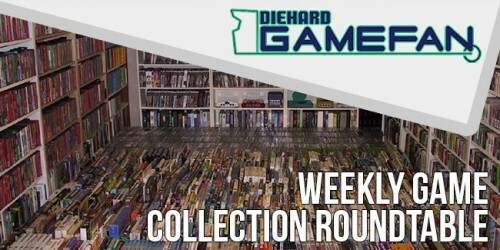 There is a pawn shop in town where missed items occasionally show up for sale, which does help some at least. Many of the side quests are given to you at the beginning of each segment too, though there are still hidden ones that need to be hunted for. And the amount of them that you complete affects your grade for the chapter as well as your overall rank, which in turn grants you bonus items as you climb your way up. There were a few other conveniences added too, such as the ability to skip lengthy attack moves, fast forward scenes and, best of all, fast travel. Being able to instantly warp to most major places in any city is such a dream, especially after recently playing its predecessors. The new game plus feature is still around as well. If you need more excuses to play through it again, the difficulty level is adjustable. And let’s not forget about the ability to move save data back and forth between the PS3 and Vita versions of the game if you happen to have both, which is a bonus. Another convenience includes a handy journal that is given to you from the get go that keeps track of all your quests as well as the plot developments thus far. So folks who put the game down halfway through (which isn’t hard to do in this nearly sixty hour adventure) will be able to read a summary of events thus far and can then dive right back in. The journal also points you to where you need to go, tracks all of the cooking recipes learned from books or trying new foods and keeps you informed of all the fish you caught (yes, there is a fishing minigame). The presentation is a big step up from the 2D sprites of old. The character models can go toe to toe with most modern Tales games and an impressive number of them can be rendered on screen at once. I did notice in some of the busier scenes that the frame drops and things begin to slow down a bit. It’s quite nice taking in the scenery though, especially when traversing the Nord Highlands via horse back. Falcom hit it out of the park once again with a rocking soundtrack, even if it isn’t quite as memorable as what you’d find in the Ys games. Trails of Cold Steel has a healthy amount of voice acting, though purists beware, as there is no Japanese language track. Fortunately, the casting for the English dub was quite well done and there wasn’t a single character that I felt was out of place or poorly done. 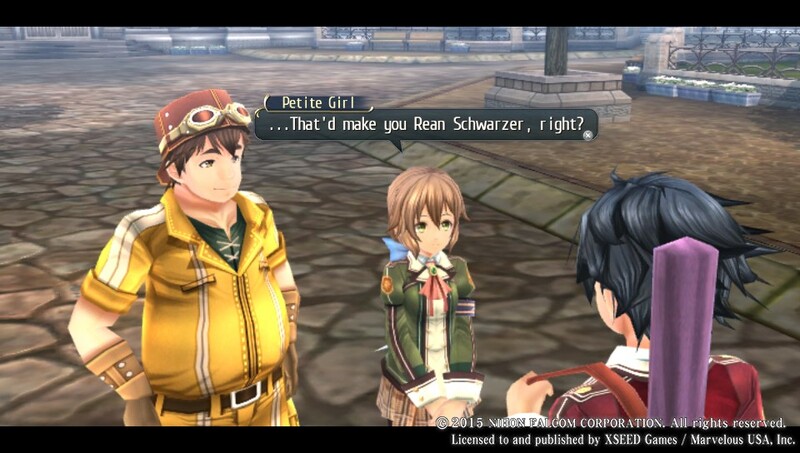 There were a few instances where characters would converse out loud, save for Rean whose lines were silent in some scenes, which made things really awkward and inconsistent. Having two releases of The Legend of Heroes in the same year and in such close proximity to each other is a bit overwhelming, yet it didn’t stop me from melting away the hours before I even knew what was happening. 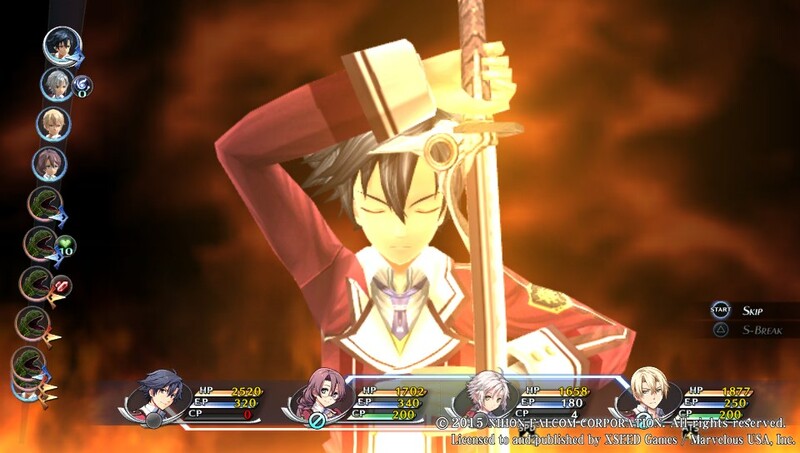 The gameplay is largely similar to what came before save for a few enhancements, but the new characters and setting freshen things up enough to be worth taking Trails of Cold Steel out for a spin. Just keep in mind that if you’re easily bothered by cliffhanger endings, it might be worthwhile to wait for part two before deciding to study abroad in Erebonia. 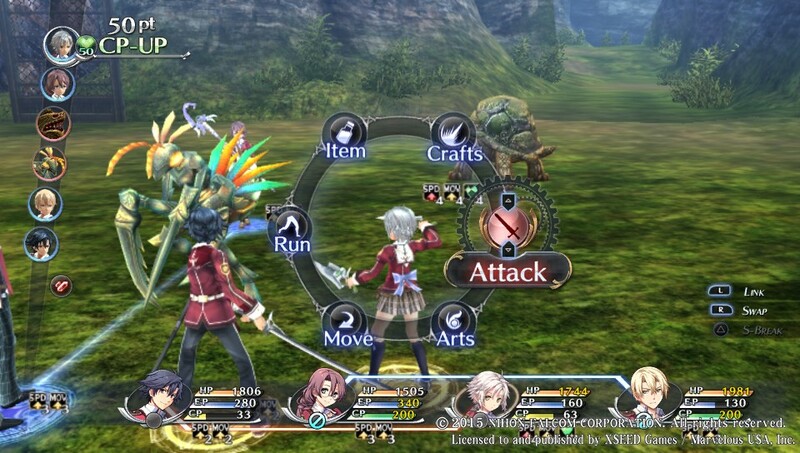 The Legend of Heroes: Trails of Cold Steel may seem too close in release to its predecessor, but upon firing it up, the hours will begin to fly by without a second thought. The combat will feel familiar to franchise veterans, but the enhanced presentation, new cast of characters and different locale ensure the experience is fresh. The pacing is very slow and the plot leaves a lot of dangling threads that won’t be resolved until the next game, which may turn off prospective players unwilling to commit without immediate closure. However, the Persona inspired Link system coupled with the stellar writing and characterization will keep you coming back for more. Whether it’s for the PS3 or the Vita, if you’re finding yourself with a lot of leftover gift cards from the holidays, Trails of Cold Steel is the perfect JRPG in which to burn them on.